I like the metaphor of membership. It’s not membership as a civic organization or a country club. It’s the kind of membership given to us in 1 Corinthians 12: “Now we are the body of Christ, and individual members of it” (1 Cor. 12:27). Because I am a member of the body of Christ, I must be a functioning member, I will give. I will serve. I will minister. I will evangelize. I will study. I will seek to be a blessing to others. I will remember that “if one member suffers, all the members suffer with it; if one member is honored, all the members rejoice with it” (1 Cor. 12:26).! I will seek to be a source of unity in the church. I know there are no perfect pastors, staff, or other church members. But neither am I. I will not be a source of gossip or dissension. One of the greatest contributions I can make is to do all I can in God’s power to help keep the church in unity for the sake of the gospel. I will not let my church be about my preferences and desires. That is self-serving. I am in this church to serve others and to serve Christ. My Savior went to a cross for me. I can deal with any inconveniences and matters that are just not my preference or style.! I will pray for my pastor every day. His work is never ending. His days are filled with constant demands for his time—with the need to prepare sermons, with those who are rejoicing in births, with those who are traveling through the valley of the shadow of death, with critics, with the hurts and hopes of others, and with the need to be a husband and a father. My pastor cannot serve our church in his own power. I will pray for God’s strength for him and his family every day.! I will lead my family to be a good member of this church as well. We will pray together for our church. We will worship together in our church. We will serve together in our church. And we will ask Christ to help us fall deeper in love with his church, because He gave His life for her. This membership is a gift. When I received the free gift of salvation through Jesus Christ, I became a part of the body of Christ. I soon thereafter identified with a local body and was baptized. And now I am humbled and honored to serve others in our church. I pray that I will never take my membership for granted, but see it as a gift and an opportunity to serve others and to be a part of something so much greater than any one person or member.! *Adapted from pages 77-79 in Thom S. Rainer. 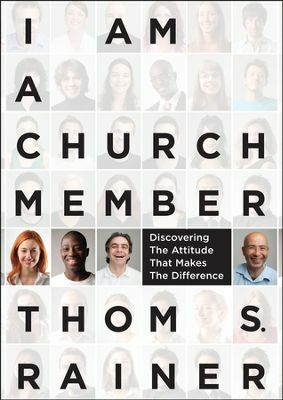 I Am A Church Member: Discovering the Attitude that Makes the Difference. B&H: Nashville, TN. : 2013.